Pastor Parker coordinates the ministries of Worship and Music at First Baptist Church. 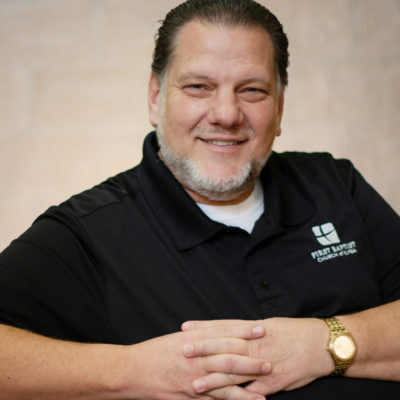 He began on staff in July of 2002 after serving over 19 years as a music pastor in Michigan. Previous to that ministry he served at two churches in Indiana in the same capacity. He graduated from Baptist Bible College of Clarks Summit, PA with a Bachelor’s Degree in Sacred Music. Pastor Parker and his wife Bonnie have seven children.